A new unauthorized hechsher has entered Yerushalayim, the Badatz Ateret Mehadrin, found by a JKN reader in the Old City, in the Shwarma Bar. 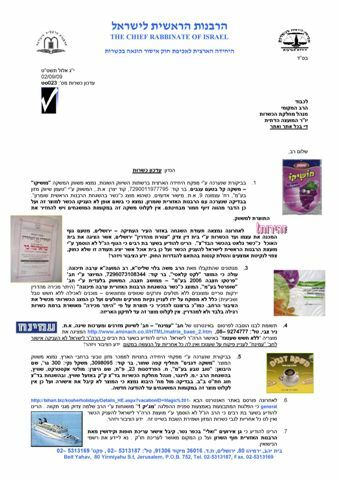 (I add that when asked about the hechsher, I noticed it has the same telephone number as the bogus Nezer Hidur, prompting me to forward it to R’ Rafi Yochai, who confirmed it is not authorized to grant kashrut certification). (See accompanying photo in original document below, item 2 on the left side) Readers are encouraged to continue sending me such information, with photos of the certificate, store, and information, address and so-forth. I will do my best to move it to proper channels. The catering hall located in Kfar Neter has received a permit to conduct weddings from the Chof HaSharon Rabbinate. The establishment is to be added to the list of legitimate places for weddings under the auspciies of the Rabbinate. (Item number 7 in original document). The following are making illegal claims of being kosher or their kashrut certification was revoked. 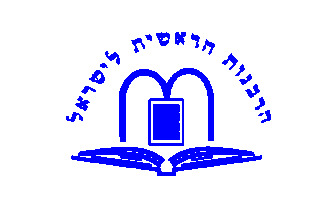 Lerman Chai Bakery – 32 David Marcus Street – Segulah Industrial area – The Petach Tikvah Rabbinate revoked its kashrut supervision. 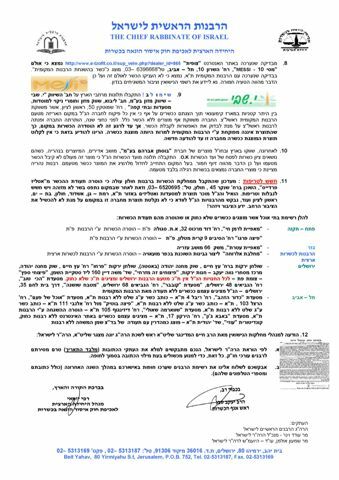 Pergo Pizza – 9 Sibin St. in Kiryat Matlin – PT Rabbinate revoked certification. Alvarcha Dairy Factory located in Kafr Muraviya - both have lost their kosher certification from the Rabbinate Nationwide Kashrut. A note: The Nationwide Kashrut Certification is used in areas where there are no active local religious councils, found mainly in Arab areas such as Nachal I’ron (Wadi Ara), which do have kosher businesses operating. 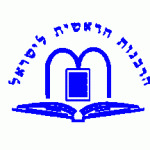 Since there is no local rabbinical authority, the Chief Rabbinate’s national supervision assumes responsibility. Pitzchei Spatz – Patt Jct. The four above-mentioned businesses do not have Jerusalem Rabbinate supervision but claim to be kosher and display unauthorized certificates. Achi Tov Restaurant – 48 HaNevi’im St.
Kubbabar Restaurant – 68 HaNevi’im St. The above three do not have Jerusalem Rabbinate supervision and claim to be kosher. Kadur HaZahav Restaurant – 4 Ribal Street displays a sign stating “kosher” but has not rabbinate certification. Ochel Shel Pa’am Restaurant – 103 Herzl Street – displays a sign stating “kosher” but has not rabbinate certification. Pizza Boutique opposite 111 Allenby Street displays a sign stating “kosher” but has not rabbinate certification. Shauli Shwarma at 105 Dizengoff – the Tel Aviv Rabbinate revoked the certification. Baba John Restaurant at 17 HaYarkon Street – Advertises itself as kosher on the internet but is not certified by the Tel Aviv Religious Council. Uzi Pastries on Yehudit Blvd – Advertises as mehadrin and displays the unauthorized Shemen L’Mishcha certificate and does not have Tel Aviv Religious Council certification. Last item contains a brief note regarding procedure for completing a marriage ketuba document. Posted on September 2, 2009 by JKN Israel. This entry was posted in 5769 - 2008/2009, Chief Rabbinate Updates. Bookmark the permalink. Isn’t a “Heter mechira” claim at this time for “fresh” produce like lettuce and tomatoes a bit suspicious in and of itself? I mean, we’re coming on a full year since the shemittah year ended, and my shemittah chart shows that starting back in Cheshvan the llettuce should have been “okay,” and I haven’t heard of these vegetable lasting even half so long. They MUST have been grown after shemittah, so why would they still be “Heter mechira”? Could it be that the kashruth falsifiers are so dumb they don’t even know what Heter mechirah and shemittah are really all about, so they just throw in some more “religious mumbo-jumbo” to make their products SOUND kosher?